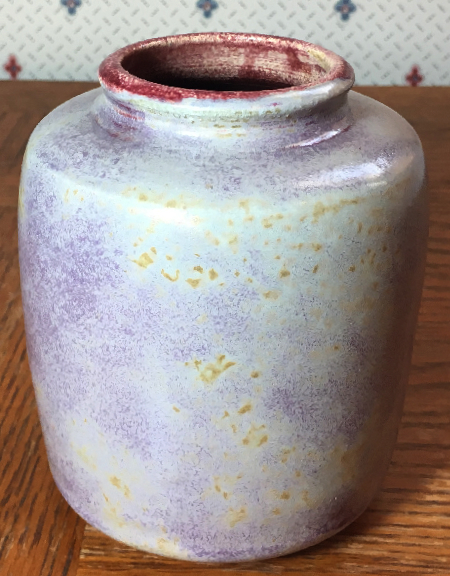 Studio Pottery Vase, signed JT or JF? 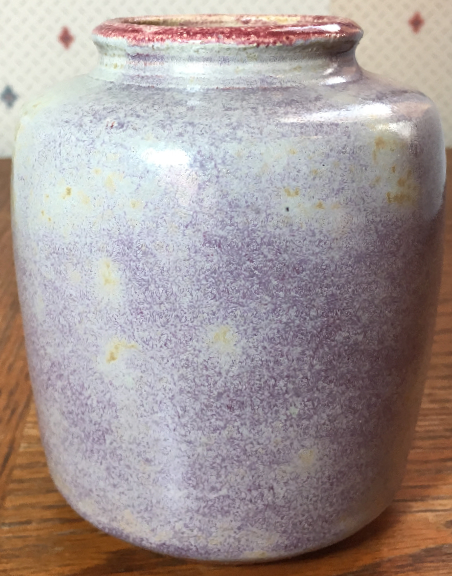 This studio pottery vase is probably German, but the time period is uncertain. The style suggests that it could pre-WWI, Bauhaus era, but it could also be circa 1970. The only way to be certain would be by identifying the signature, but I've had no luck there. One letter is a J (probably), and the other could be a T, an F, or something else. 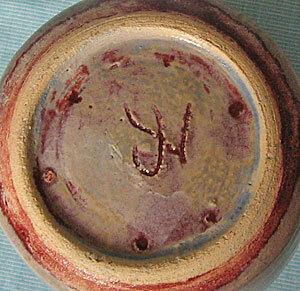 The J is the top letter (last one incised), which suggests that it's the surname. 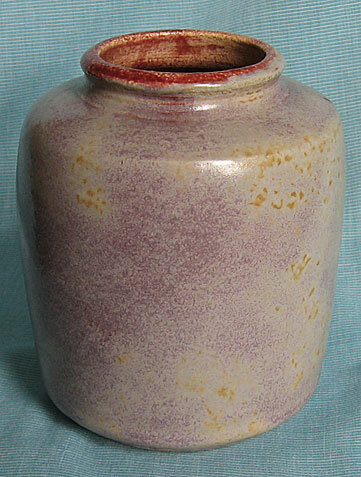 The vase is handthrown with a soft but quietly complex glaze and a fairly light weight.